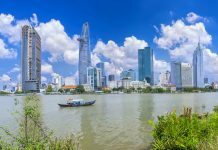 A variety of legislative reforms aimed at boosting the real estate market in Vietnam appear to be catching the attention of global investors. The amended Law on Housing 2014 and Real Estate Trading – in place since July 1 – permits foreigners with valid residence visas to buy up to 30 per cent of a condo or up to 250 houses in major administrative areas called wards. Perhaps most importantly, the market is also now open to the “Viet Kieu”, or the 4.2 million Vietnamese currently living overseas. 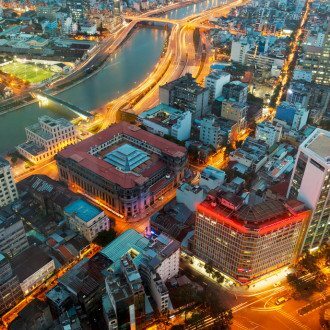 Remittances and investments from the Vietnamese diaspora account for 18% of Vietnam’s annual GDP. Of course, no property boom is complete without plans for a new iconic tower to redefine the skyline. Construction is expected to begin on the 86-storey high Empire City Tower in the fourth quarter of 2015. The nation’s last downturn bottomed out in early 2013, leaving an unsold property inventory worth approximately US$ 6 billion. Developers have allegedly now halved this unsold inventory as of August 2015. 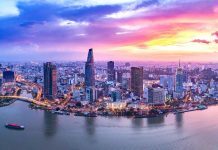 An average high-end apartment now fetches US$ 1,800 per square metre in the Ho Chi Minh, which is still attractive compared to other major markets in Southeast Asia. 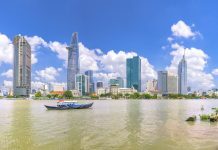 Vietnam’s recent devaluation of its currency, the dong, may have a moderately positive impact on its property market amidst the new rules for foreigners. Previous articleKazakhstan: The ‘Canary in The Coal Mine’ For Emerging Market Currencies? TPP Is Now The CPTPP: What Does This Mean For Vietnam?